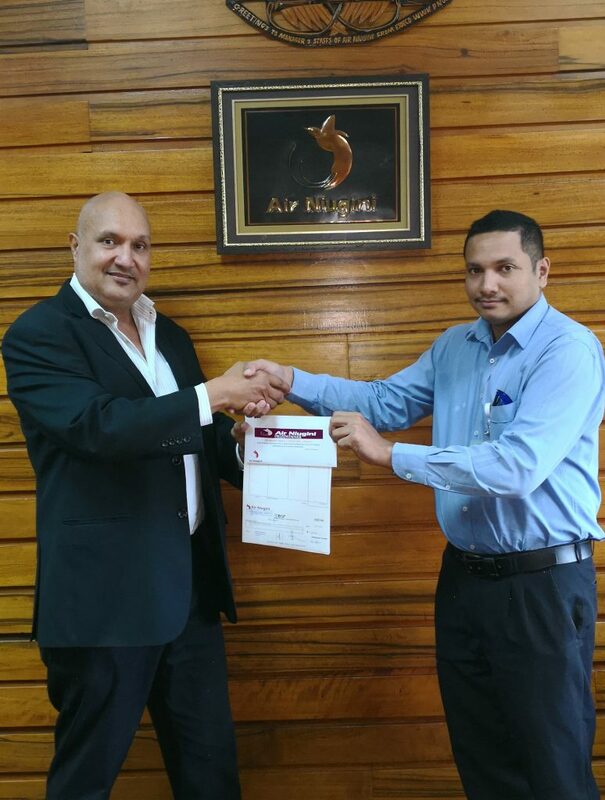 Winner of Air Niugini naming competition, Marcus Rahman (right) has received his award from General Manager, Corporate Services, Mr Marco McConnell at the airline’s head office in Port Moresby this morning (Friday 21st Dec, 2018). Marcus’ entry was chosen among 500 plus entries from ANG staff who participated in the naming competition launched last month. The competition focused on four key areas including costs, revenue, people/staff and operational excellence. The theme by Marcus, “Higher Altitudes” was chosen as the winning entry. Marcus, a cadet engineer with ANG’s Corporate Quality & Safety Department was presented with two return airline tickets to any Air Niugini destination within the country and overseas plus K2, 000 spending money. The naming competition is the initiative of the new Managing Director, Mr Alan Milne to name a program which will be implemented next year with the aim of bringing Air Niugini from a good airline to a greater airline. A big thank you is also extended to the rest of the staff who participated in the competition.